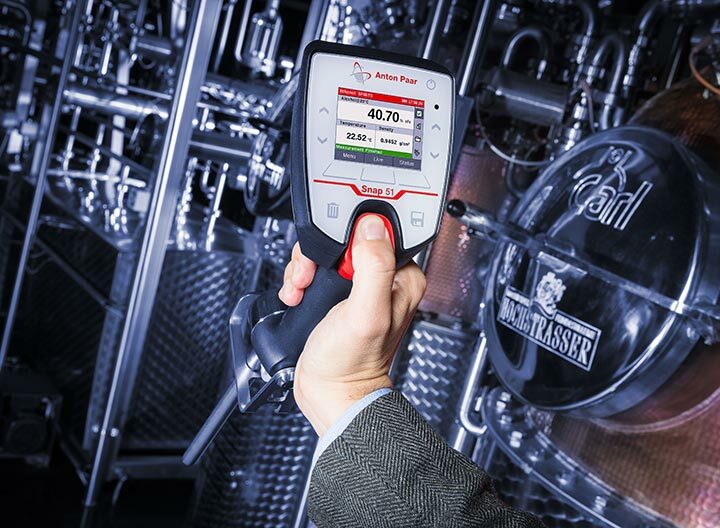 Nobody should spend more than 30 seconds to determine the alcohol content in distilled spirits. 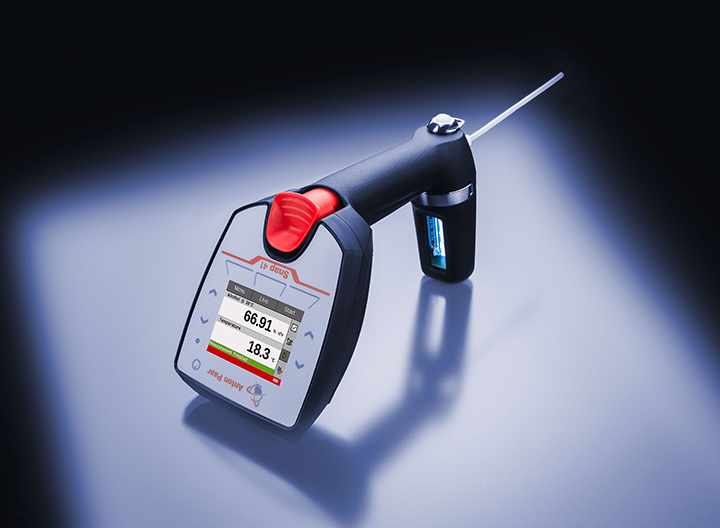 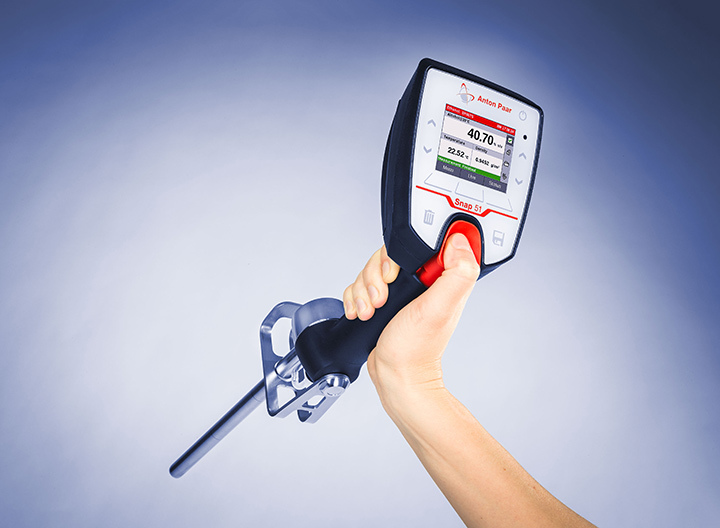 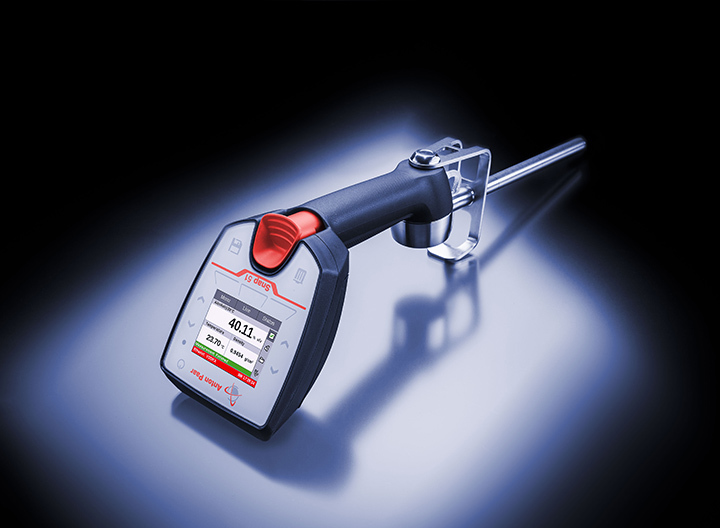 Snap 51 is the portable alcohol meter that will get the job finished in time. 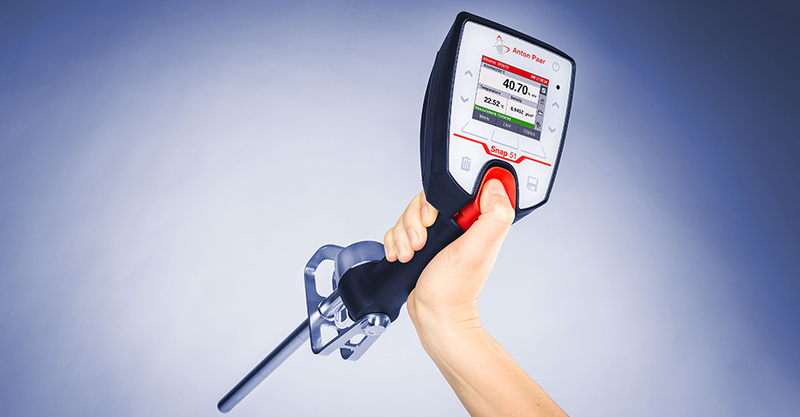 The instrument simplifies the whole distillation and watering down procedure in distilleries as samples of all strengths are measured with one and the same instrument. 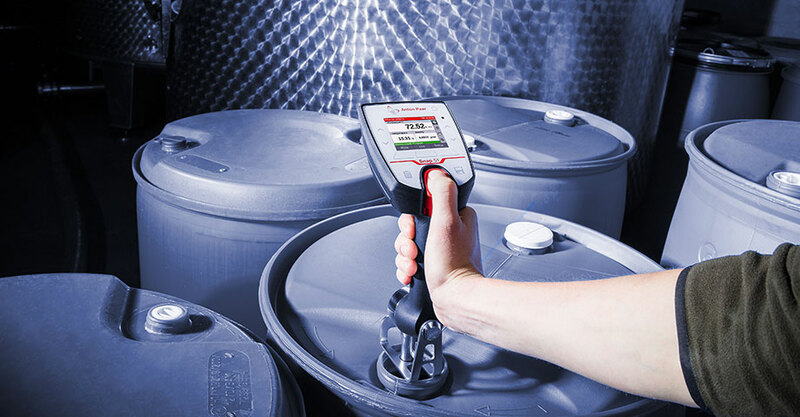 Samples are measured with an accuracy of 0.1 %v/v directly on-site. 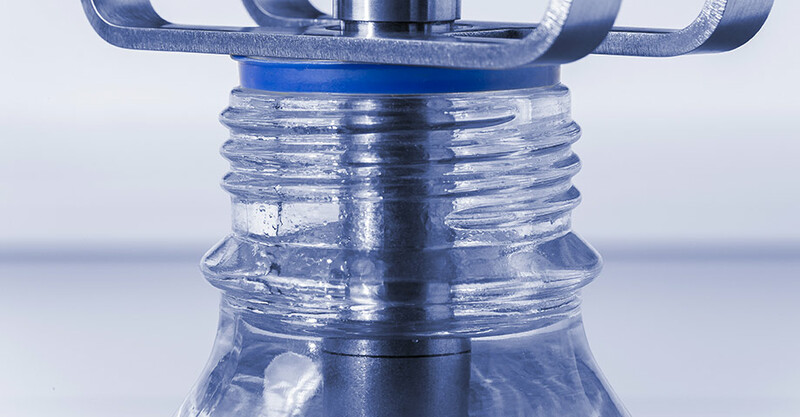 An improved adjustment routine enhances the reliability of results even at low measuring temperatures and alcohol concentrations. 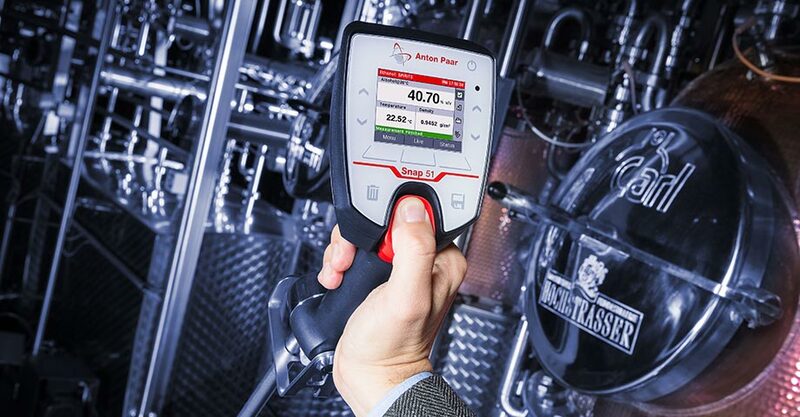 Just read the measured values in %v/v or °Proof from the large color display, store them, and archive them on a PC to have perfectly traceable documentation of your spirits production process at hand later on. 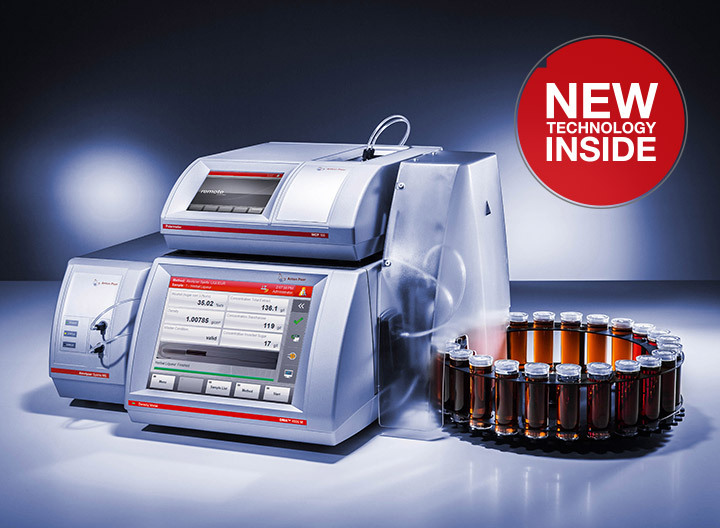 Temperature correction of results is done automatically: no need for temperature correction tables! 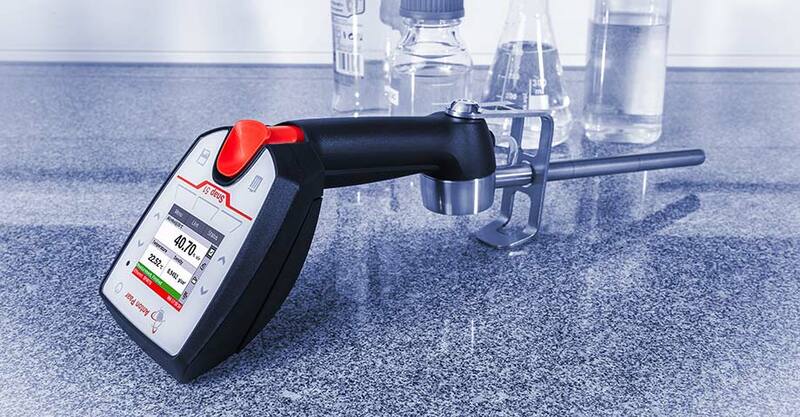 The alcohol content, compensated to the reference temperature, is shown on the 2.8 inch display. 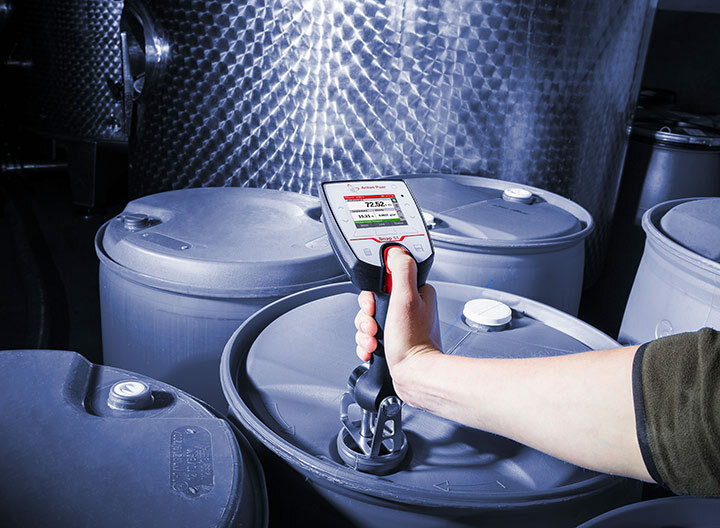 The newly designed metal bracket ensures a stable, balanced positioning of the instrument on the sample container.